Ouidad was one of the first lines (and salons) to specialize in products for all types of curly hair. In a series of articles, I will be reviewing a lot of the products in the line. 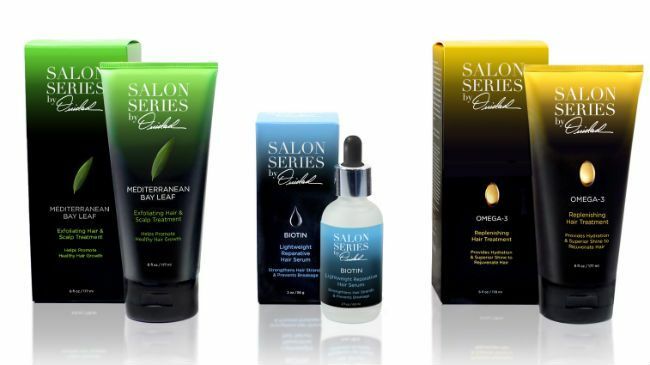 The first products I will be reviewing are the products in the Salon Series by Ouidad line. These are targeted solutions to help promote health hair and scalp and can be used by ALL hair types! The Ouidad.com website says "The Salon Series is a collection of innovative at home treatments utilizing unique naturally-derived ingredients inspired by professional services practiced at the renowned Ouidad Salon in New York City." What they say: A light-textured exfoliating cream that helps clear scalp & follicles of buildup & residue to help promote healthy hair growth. Soothes and improves the condition of the scalp. Natural actives helps keep scalp clean and inspires healthier hair growth. Enriched with a botanical complex of Fennel Seed Extract to increase micro-circulation and oxygen flow to the root.Formulated without silicones, sulfates, parabens and waxes. What I say: This is one of my Holy Grail products and has been since Ouidad debuted it a few years ago. I have been using it since the beginning of my hair growth journey and I truly think this little gem has helped my hair grow healthy! I use it twice a week and actually put it on my wet scalp before shampoo or co-wash. I gently massage it in and then add shampoo and let it sit there a while. It tingles a little bit which I believe lets me know it is working. My scalp feels clean, it helps remove product build up and I think the bay leaf oil, Bamboo extract plus vitamins E & B5 help encourage healthy hair growth. It can be a bit difficult to remove, but to me it is so worth it! One tube of this will last me more than six months, I use about a quarter each time. What they say: A deeply hydrating, washout treatment that re-hydrates the hair shaft, restores and replenishes lost moisture and breathes new life into hair. 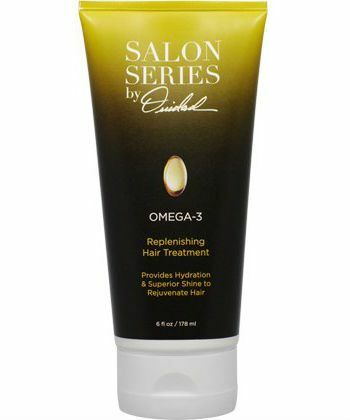 Utilizing a potent blend of Omega fatty acids (Omega-3, 6 and 9), the formula helps restore the natural lipid barrier of the hair and fortifies its protective surface layer. Deeply hydrating, wash-out treatment breathes new life into hair. Made with our proprietary amino acid cocktail – including Flax Seed Oil, Passion Fruit Seed Oil and Acai Pulp Oil – the formula recreates the protective lipid barrier and re-hydrates the hair shaft, restoring and replenishing lost moisture. Formulated without silicones, sulfates, parabens and waxes. What I say: This treatment is wonderful! When they say this "adds new life to the hair" they mean it. I love the smell, it reminds me of the lemonheads candies I enjoyed as a kid. Though this does work good alone, using it under a hair dryer or steamer makes it really incredible! The major thing I notice when I do this treatment is the SHINE! My hair looks so shiny and also feels very soft. This is a great product in my deep treatment arsenal and is excellent especially for color treated curls which are generally very dehydrated. It comes in a 6oz tube and for all my long, dry hair that barely gets me three uses. It can get pricey if I used this all the time, so that is the one drawback to this one. 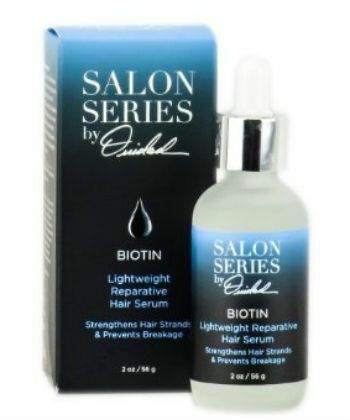 What they say: A potent, water-based leave-in serum infused with Biotin & a rich vitamin cocktail that strengthens hair strands & prevents breakage. Formulated without silicones, sulfates, parabens, and waxes. What I say: I am a big fan of Biotin, I find it to be a great vitamin and ingredient to help hair health. This is another product that can get a bit pricey but a little goes a long way so that's good! I massage this into my scalp almost every night and I like that it doesn't build up or make my hair oily. I also will take a dropper worth of this and apply it to the front hairline pieces of my hair which are more damaged and weaker than the rest of my hair. Sometimes I massage a bit into the ends of my hair too. I find it helps with breakage and is another nice addition to my hair growth journey getting my hair to grow long and strong. Aside from Biotin, this magical elixir also contains silk amino acids, vitamins C, E & B5! 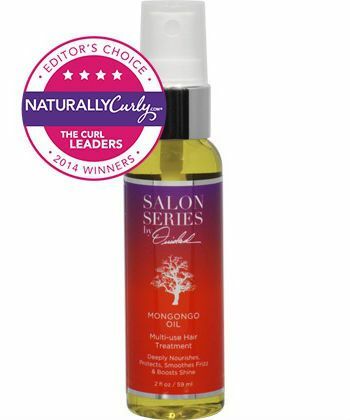 This is a great product for hair that is chemically damaged in any way. What they say: This super-concentrated, multi-tasking serum is infused with Mongongo Oil, known as “hair food” in Zambia for its high vitamin E content and superb regenerating and antioxidant properties. With American Palm Seed Oil and Broccoli Seed Oil, the formula restructures hair as it deeply repairs damage to restore a healthy appearance to even the dullest locks. By forming a protective film over the hair fibers, hair is instantly more manageable and has a natural, healthy-looking luster. It coats hair to protect against UV rays and environmental aggressors to help defend against damage. Further, it protects hair from aggressive heat styling and helps speed up drying time. What I say: This is not pure Mongongo Oil. It also has Broccoli Seed Oil, American Palm Seed Oil, Vitamin E and a few other ingredients, but it does not contain any silicones, parabens, fillers or any junk. This smells delicious-almost like a unique sweet fresh fruit. I like that this oil can protect hair from the sun, sometimes I will spray some in my hair if I will be out in the sun so as the oil is becoming a treatment it is also protecting my color. Sometimes I will seal my wet hair with this oil instead of argan oil and it does make an excellent sealer as it is not too heavy or greasy. A couple squirts of this on dry hair will also help add shine and help frizz. It is a nice multi-tasking oil blend. I think the Ouidad Salon Series Treatments are all nice in their own way are are especially useful for hair types that are either damaged or looking to grow longer, stronger hair. Stay tuned soon for more Ouidad product review articles! See my recent product reviews here.